Adam Myerson is an ex-professional cyclist and coach who specializes in criteriums and cyclocross. 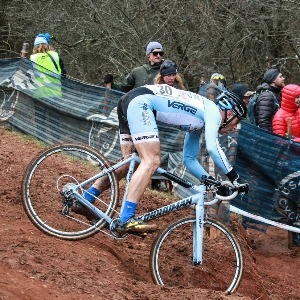 A former collegiate national cyclocross champion, he began racing as a junior in 1987, and was a professional for 13 years. He raced his final season for the Astellas Professional Cycling Team in 2015. Adam is the founder and president of Cycle-Smart, Inc., President of the New England Cyclocross Series, organizer of the Cycle-Smart Northampton International Cyclocross (the oldest UCI event in North America), a former member of the UCI Cyclo-Cross Commission, and a former member of the management committee of the International Association of Cyclo-Cross Organizers (AIOC-Cross). Success. Coach Adam Myerson has been notified of your message.